ATP Recordings 12″ vinyl release of the various artists soundtrack to director Jim Jarmusch’s crypto-­ vampire love story Only Lovers Left Alive. Release Date: April 8, 2013. 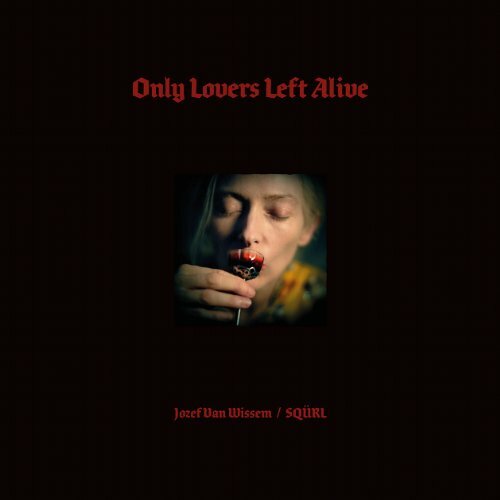 The soundtrack, predominantly by Jozef Van Wissem and SQÜRL. Jozef Van Wissem is a Dutch minimalist composer and lute player based in Brooklyn. SQÜRL are Carter Logan, Jim Jarmusch, and Shane Stoneback, an enthusiastically marginal rock band from New York City who like big drums & broken guitars, cassette recorders, loops, feedback, sad country songs, molten stoner core, chopped & screwed hip-­hop, and imaginary movie scores. The soundtrack also features Zola Jesus, Yasmin Hamdan and Madeline Follin (of Cults). The film, which is set against the romantic desolation of Detroit and Tangier, features an underground musician named Adam (Tom Hiddleston) who is deeply depressed by the direction of human activities. He reunites with his resilient and enigmatic lover Eve (Tilda Swinton). Their love story has already endured several centuries at least, but their debauched idyll is soon disrupted by her wild and uncontrollable younger sister Ava (Mia Wasikowska). Can these wise but fragile outsiders continue to survive as the modern world collapses around them?